While on the PC platform gaming headsets have been a ‘thing’ for quite some time, that isn’t entirely true over in the console space. That’s a market that grew in large part thanks to the proliferation of online play in the last generation of consoles, and the major victor out of that growth was Turtle Beach, a company now synonymous with PlayStation and Xbox headsets in particular. Turtle Beach isn’t all about consoles, however. 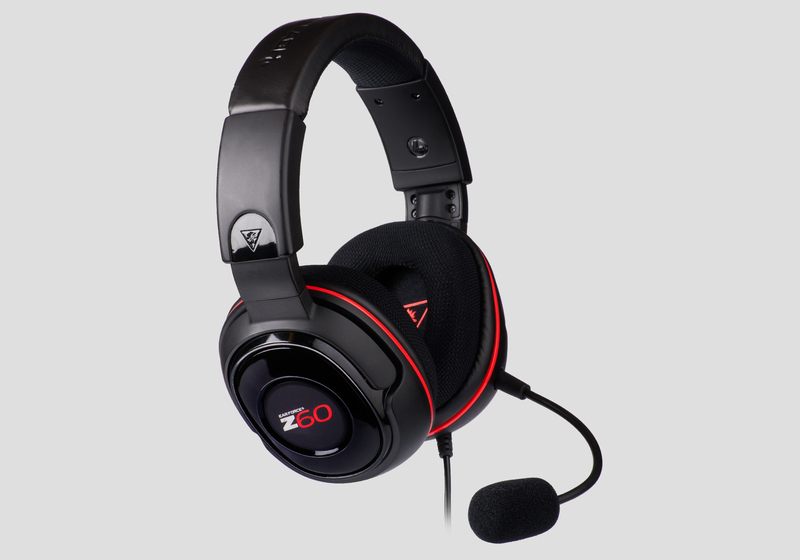 With a significant chunk of the console market in their grasp and a range of headsets from cheap and cheerful to expensive and fully-featured on the market, they’re now turning their focus to PC more fully - and leading the charge is the new Ear Force Z60 headset, a new set designed with PC players in mind. The Z60 is actually the very first gaming headset on the market to pack in the new 7.1 DTS Headphone:X technology, and also claims to be the first to use pretty sizeable 60mm drivers to offer up audio to the user. Based on the spec sheet it’s a cool piece of kit - but that’s mostly based, it has to be said, on the price. I like to consider myself something of an audiophile, and thanks to that I’m perfectly willing to say I’d spend a fair bit more than the Z60’s £100/$130 on a set of headphones that’d see a lot of use. 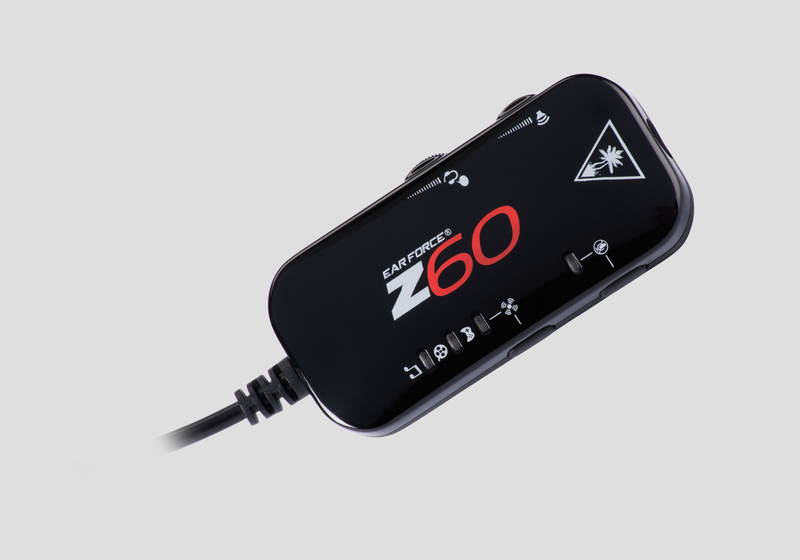 The Z60 strikes a sweet spot, however - you aren’t going to get the ridiculous performance and quality out of these that you’d get from a studio-grade set at double the price, but here there’s high quality and feature-wise a lot of bang for your buck. Most of the feature set here will be familiar to console gamers who have used any sort of headset over there. While PC players may be used to being able to control things via keyboard hotkeys, Turtle Beach has those who don’t want to mess with such features covered thanks to a nifty in-line unit that can be used to control the volume, toggle various mic settings, and even select from various pre-set sound profiles. This in-line unit ends in a USB cable, and in there sits another key feature for Turtle Beach - simple connectivity, with all of the headset’s processing done on the unit-side within that little unit. This means that even processing full 7.1 this won’t eat into your PC performance, but it also means that there’s no need to mess around with unwieldy audio drivers specific to this device. It’s a very literal ‘plug and play’ setup, and I was able to use the Z60 on multiple machines with no messing about at all, and the in-line controls are all simple to use and understand. Literature is included, but I doubt you’ll need it. The sound control unit can actually be removed - and separating it out leaves the headset alone with a standard 3.5mm audio jack, thus also leaving it compatible with MP3 players, tablets, phones, or gaming handhelds - a handy feature when you’re shelling out for a headset in this price range. An ideal feature accompanying this is the ability to also remove the mic boom, meaning if you do choose to wear these out in public they just look like a regular set of non-gaming headphones. More than most headsets in its category, I found the Z60 comfortable to wear for long periods of time without any of the strange cranium strain some headsets seem to cause me. I’m particularly happy with the solution to make the padding atop the head and about the ears from a mesh material rather than faux-leather, as - to be frank and gross - I’ve always found the latter rather hot and sweaty about the ears. They’re of a sturdy build, but also one that is decidedly plastic feeling - this makes it a little ligher than many of its peers, but as a result the Z60 also feels as though it’d naturally take less abuse than some of the other headsets out there with metal builds. The most important thing ultimately is, of course, the sound. The Z60 produces crisp, clear and satisfyingly powerful audio - particularly in the low-end - and especially makes things like explosions and gunfire in shooters sound rather impressive. Battlefield 4 and Call of Duty: Advanced Warfare ended up quite striking in my play test thanks to this, but equally impressive to me was how the thrumming, synth-driven soundtrack of XCOM: Enemy Unknown sounded through the headset. While not all games support the new DTS Headphone:X technology, even those that only support more basic surround sound options ended up sounding significantly better than any stock solution with this headset. If in sound this headset falls flat anywhere, it’s in the high end, and this is a problem that is only underlined by how alarmingly well the bass performs. To be clear, for the price the high-end performance isn’t at all bad - it just isn’t quite up to the quality bar that the bass end sets. The headset’s three audio profiles (gaming, cinema and music) all offer slightly varying setups for sound, but despite the names none of these felt particularly catered to any specific experience to me - I found it best to experiment and see what one feels the best for any given game, album or movie you’re checking out. The final option is to just have a flat EQ, but I did always find this to be the least impressive of the four options. With its large speaker drivers, the headset is more than loud enough to satisfy, too. 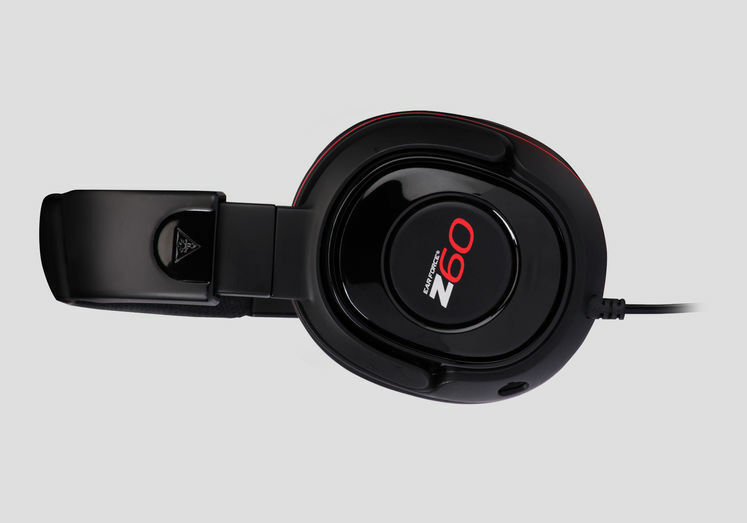 The Z60 is a solid foray into the world of PC gaming headsets by Turtle Beach. It provides a quality of audio, build and features that is very reasonable indeed for the price, and actually offers up a headset that could significantly improve one’s gaming experience - either through a deeper atmosphere or by helping shooter fans towards an audio-aided win. Recommended.